African Beaded Necklace Zulu Spear Choker - BROWN BLACK METALLIC. Traditional African beadwork handmade in South Africa. Choker style necklace. Closes at the back with a bobble and loop close. Traditional African necklace worn to ceremonies and events. 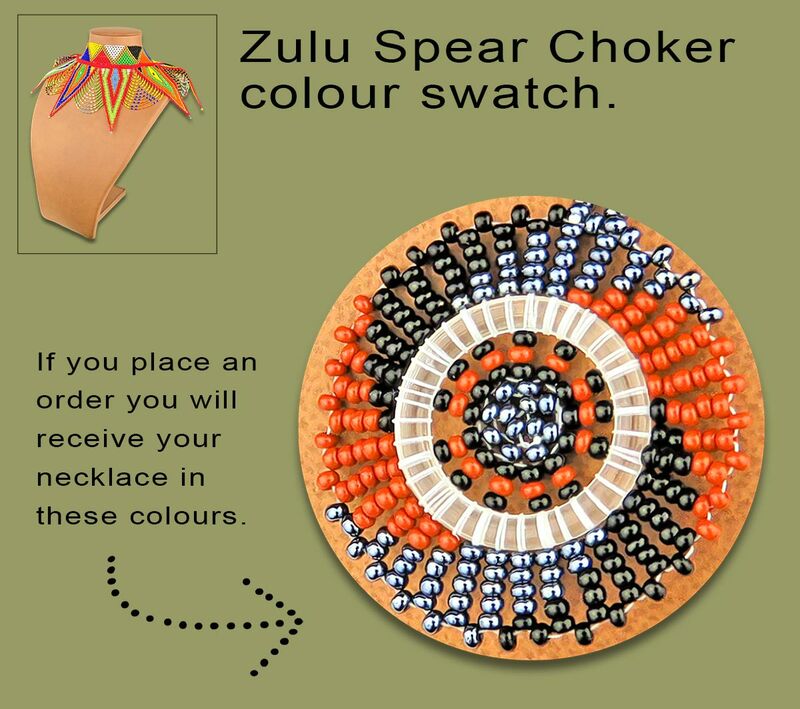 COLOUR SWATCH: Unfortunately we do not have the exact colour necklace to show, however if you choose this option you will receive a Zulu Spear Choker Necklace the same colour as the colour swatch in this image.